Are you looking for a subtle and inexpensive change that can transform your eyebrows? Look no further, Blink Brow Bar offers eyebrow tinting which can help you achieve full looking and dramatic brows that help to frame the eyes and give an overall polished look. Experience Blink and Explore Beautiful Coal Harbour! Our charming Vancouver eyebrow threading studio has garnered a loyal following from across the Lower Mainland (including gorgeous local celebrities like Dawn Chubai and Fiona Forbes (see below)), but some hesitate to make the trip to Coal Harbour even if they are curious to find out if Blink Brow Bar lives up to the hype (we do!). The cold weather has arrived in Vancouver which means sweater weather and cozy layers! However, protecting your skin from the dipping temperatures can be a challenge! That’s why we’ve complied a list of Blink Brow Bar Winter beauty fixes and tips from our go-to beauty sources to help shelter you from the storm. With fall just around the corner it’s time to start prepping your beauty routine for colder temperatures. When you begin to add layers and show less skin it becomes more important to make a statement with your eyes. Summertime is here at Blink Brow Bar Vancouver and we think it’s high-time to start prepping your face for the heat. There are several reasons why you should be tinting your eyelashes and eyebrows this summer but most importantly it’s an easy, no-fuss way to stay fresh in the summer heat. The first week of spring signifies that sun, bronzed skin, sandals and bare legs are just around the corner. With this drastic change in scenery a lot of ladies like to do a complete overhaul of their look, especially with their hair. Last night’s red carpet event was full of stunning celebs, and while most publications are reporting the best beauty looks, we’d like to award these starlets with the 2014 Oscars’ Best Brows! Luscious lashes are a universally recognized sign of beauty, but not every woman is blessed with a standout pair. What works for the runway often looks strange in real life. 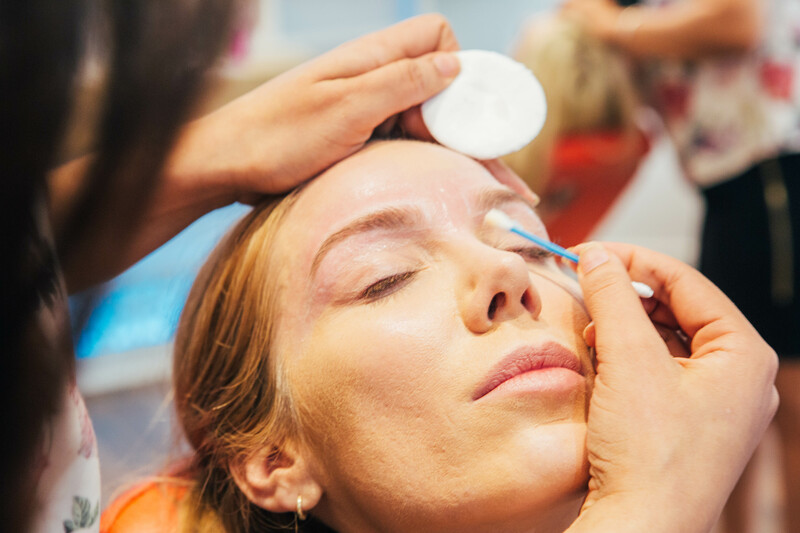 Whether you have barely-there blonde brows or just want a little extra definition, consider having your brows tinted. The Top 10 Brows of 2018! Top Things to do in Vancouver this Fall 2018! At Blink Brow Bar, we offer nothing but the best in personalized beautifying treatments tailored to suit you. © 2018 Blink Brow Bar all rights reserved. | Vancouver Website Design by Think Profits.com Inc.